Fiscal deficit feeds into inflation, pushes up interest rates and pulls down growth. In 2011/12, India's fiscal deficit was 5.9 per cent of GDP, 1.3 percentage points more than what was forecast in Budget 2011. This comes on the heels of a fiscal deficit of over six per cent of GDP in two of the last three years. Barely three minutes into his speech before lawmakers on March 16, Pranab Mukherjee said something that was music to the ears of slowdown-worn businessmen as much as most rational Indians. "We are now at a juncture when it is necessary to take hard decisions," said the finance minister who was presenting his eighth Union Budget in a parliamentary career spanning 43 years. For regular Budget-watchers, the measured words of Mukherjee meant the minister was readying to unveil tough reform measures that a slowing India badly needed. The markets reacted with Bombay Stock Exchange's Sensitive Index rising over one per cent to 17,855 points in the first half hour of his Budget speech. That is the highest the benchmark index in the world's third largest economy by purchasing power has been in the six trading days since the Budget. By the time Mukherjee ended his speech by formally presenting Budget 2012/13 to Parliament, it was clear that it was a feeble attempt to fix the symptoms of a wheezing economy, not the underlying ailments. In the days since the Budget, much has been made about the coalition pressures that Mukherjee had to tightrope-walk through. Railway Minister Dinesh Trivedi exited the cabinet within a week of pushing the reforms agenda in the Railway Budget and his decision to increase passenger fares after nine years was partially rolled back. Optimism has bordered on the dangerous: "Everybody here gets upset that we are growing at seven per cent... the projection for industrialised countries is about 1.5 per cent," Planning Commission Deputy Chairman Montek Singh Ahluwalia told the India Today Conclave a day after the Budget. But missing in such analyses is the power of a 10,000-ft view that can sober the most sanguine. In the last quarter before the Budget, October to December 2011, India grew at 6.1 per cent, its slowest pace in nearly three years. Fixed capital investment has contracted in the last two quarters and a Business Today post-Budget poll of 100 top executives shows little may change. Just one in three among them says he will increase capital investments. With 17 per cent of the world's population and just 2.8 per cent of the global gross domestic product (GDP) of $68.7 trillion, India can ill afford to lose any opportunity to bring back its economy to a fast-paced groove. Do not forget 30 per cent of Indians live on less than Rs 28 a day, the official cut-off to label a citizen poor. "India cannot afford to grow at six per cent, given its need to provide income and generate employment for an ever enlarging labour force," Deutsche Bank analysts Taimur Baig and Kaushik Das advised clients a week after the Budget. And woe betide, us all, if some of the near-Quixotic assumptions in the Budget do not hold. Brace yourself for a few years of what history promises to record as a lost economic opportunity. Mukherjee quoted from William Shakespeare's Hamlet in his speech but it may have been more appropriate to refer to Macbeth. If there was one aspect that seemed to show up in different forms during the Budget, it was fiscal deficit. Like Banquo's ghost in Macbeth, deficit overrun in 2011/12 forced Mukherjee to increase taxes at a time when the United Progressive Alliance coalition is politically vulnerable. The move is not enough as the Budget proposals chip at the margins when fiscal reforms needed bold measures that tackle the problem head-on. A change in disinvestment policy could have been one. In the absence of bold measures, Moody's Investors Service said in its weekly credit outlook: "The Budget lacks new solutions to address sovereign fiscal constraints." The ratings agency called the slippage in the 2011/12 fiscal deficit "a credit negative". Fiscal deficit is the excess of expenditure over income that is bridged by borrowings. Beyond a point, fiscal deficit feeds into inflation, pushes up interest rates and pulls down growth. In 2011/12, India's fiscal deficit was 5.9 per cent of GDP, or Rs 521,980 crore, 1.3 percentage points more than what was forecast in Budget 2011. This comes on the heels of a fiscal deficit of over six per cent of GDP in two of the last three years. The experience of the last four years showed that Mukherjee needed radical proposals to break out of the structural trap government finances are in - more than half of government expenditure goes to meet defence spending, subsidies and interest payments, which are spending heads that are widely seen as difficult to tamper with despite best intentions. It is one reason why some economists believe an increase in indirect taxes was necessary even if it is inflationary in the near term. "It's bound to be inflationary," says Samiran Chakraborty, who heads research in India for Standard Chartered Bank, referring to the two percentage point increase in median central excise duty and service tax, both indirect taxes. But the government needs to lose a battle to win the war against inflation - tax buoyancy from increased levies will check deficits that typically stoke price rises - and create space for private investment, he adds. An increase in indirect taxes was one small step in pulling back the projected 2012/13 fiscal deficit to 5.1 per cent of GDP. It is the fine print in the Budget and assumptions underlying the Budget which suggest Mukherjee lost the plot. US bank Morgan Stanley has predicted that there will be an overrun of at least 50 basis points in the fiscal deficit. Add the fiscal deficits of states and the combined deficit of governments in India will be at least eight per cent. According to Morgan Stanley, India will have the highest fiscal deficit among emerging markets in 2012/13. The countries closest to India, South Africa and Malaysia, are estimated to have fiscal deficits of 5.5 per cent, which makes India vulnerable on the current account deficit (CAD) front if risk perceptions change. The dismay that greeted Mukherjee's Budget proposals are on account of its unrealistic assumptions. For one, Mukherjee seemed to ignore an odd trend that emerged over the last decade. Even as the Indian economy experienced its best phase, public finances became vulnerable as constant increase in expenditure has been accompanied by volatility in income, particularly the part sourced from non-tax areas such as disinvestment. "India's declining debt to GDP ratio is a bit deceptive. Given India's rising primary deficit, it only takes a series of modest but correlated shocks to make its public finances fragile," says JPMorgan economist Sajjid Z. Chinoy. A possible shock could be the rise in Brent crude prices, already up 15 per cent since the beginning of the year, on account of geopolitical tensions in West Asia. BP's chief economist Christof Ruhl, visiting New Delhi in February, told BT it would be reasonable to assume going forward that oil prices would not fall below the average of the last two years - around $100 per barrel for India, which typically imports four-fifths of its crude requirements. Australia's Macquarie Bank predicts average Brent crude prices will rise to $138 a barrel by 2015. Thanks, in part, to the rise in crude prices in 2011/12, the petroleum subsidy bill before New Delhi increased almost three-fold to Rs 68,481 crore. The average price per barrel of the Indian basket of crude was $110.6 between April and December 2011, the highest in a decade. Since then, it has moved up to $125 but the finance ministry has set its target for petroleum subsidy in 2012/13 at Rs 43,580 crore - 36 per cent lower than in this financial year. This can be achieved only if: diesel, kerosene and cooking gas prices are devised sharply upwards or stateowned oil companies are driven into the ground by selling subsidised fuel. Today, oil companies lose Rs 13.10 per litre of diesel they sell and customers get a subsidy of Rs 486 crore a day on diesel, kerosene and cooking gas. Mukherjee's assumption would also hold true if the crude price is set for a large correction. The implausibility of any of these occurring immediately robbed the Budget of credibility. Five days after the Budget, Citigroup Global Markets released a report on India's economy after meetings with India's economic policymakers and analysts. The report said: "There was recognition that the biggest risk to outlook was oil prices. While this would have wide-ranging implications, the worry is a lack of a contingency plan to address this vulnerability." A Citi simulation at a crude price of $125 a barrel showed the government's oil subsidy would be Rs 73,100 crore. The simulation also assumed the government would bear only 45 per cent of the subsidy provided to retail customers instead of the usual 50 per cent; the rest would be borne by state-owned oil companies. Mukherjee has other subsidies in his crosshairs, too. Overall subsidies would be brought down to 1.6 per cent of GDP by March 2015 from the 2011/12 level of 2.4 per cent, he said. The advent of information technology in governance seems to be the platform on which subsidy reform is to take place. The push in this direction was highlighted in the enhanced outlays for Unique Identification Authority of India (UIDAI) and its 'Aadhar' project. But, according to a senior UIDAI official, using Aadhar to streamline major subsidies such as diesel and food is unlikely to happen before 2014, by which time the current government would have run its term. "There is no strategy behind the subsidy cap," insists Chakraborty of Standard Chartered. He believes Mukherjee will once again overshoot the deficit target and forecasts inflation by March 2013 at 7.25 per cent, a tad higher than February 2012, reading of seven per cent. 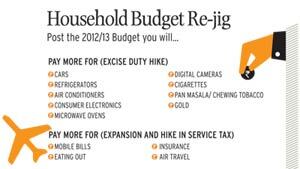 The Budget assumes inflation of 6.4 per cent in 2012/13. From his perch on the 18th floor in the Reserve Bank of India (RBI) headquarters in south Mumbai, Governor D. Subbarao is sure to have a feeling of déjà vu. It was in 2008, when Subbarao was the top bureaucrat in the finance ministry that three years of fiscal consolidation were undone and the purse strings loosened by the then finance minister P. Chidambaram. Later that year, a combination of high crude prices and a collapse in revenue led to the fiscal deficit widening from 2.55 per cent to 6.04 per cent in a single year. Subbarao has a key role this year, though from another standpoint. Mukherjee has bet that growth in 2012/13 will increase to 7.6 per cent from the 6.9 per cent estimate for 2011/12. For that to happen, Subbarao has to reverse two years of tight monetary policy and begin to cut interest rates. The assumption in the Budget is that rate cuts will spur growth, revenue rise and private investment. The central bank governor, so far, has not been convinced by the finance ministry's arguments on the need to speed up rate cuts. The fear of latent inflation has held his hand and he has clearly stated that the timing of rate cuts depends on the credibility of fiscal management. With government borrowing for 2012/13 set at Rs 479,000 crore, one-tenth more than in 2011/12, it is anybody's guess how comfortable Subbarao is with the signals he is reading on New Delhi's intent. Most economists do not see the RBI easing its hawkish stance. It is "hard to see more than 50 basis points of rate cuts in 2012, given where crude and commodity prices are," says Chinoy of JPMorgan. After the Budget, Chakraborty has halved his earlier prediction for rate cuts in 2012/13 to 75 basis points and pared growth forecasts to 7.1 per cent from 7.4 per cent. Citigroup expects 75 basis points of rate cuts in calendar 2012 and a growth of 7 per cent in 2012/13. If the fears of these economists come true, the Budget could finally unravel when direct tax collections fall short. In 2011/12, a slowdown in GDP growth from 8.4 per cent to 6.9 per cent had an adverse impact on direct taxes, which fell short of the Rs 532,651 crore target by Rs 32,000 crore. In 2012/13, Mukherjee has bet it will grow by 14 per cent to Rs 570,257 crore. This growth is expected to provide the springboard for growth rates of around 25 to 26 per cent in the years after that, and help the government shrink its borrowing programme as income rises. The onset of this virtuous cycle rests on direct taxes responding disproportionately to growth - a hypothesis with very little basis. "Some tax buoyancy is likely if growth accelerates, but the tax/GDP ratio is unlikely to improve dramatically in the absence of a GST," says Chinoy, referring to the much-delayed goods and services tax. The GST regime depends on a consensus evolving among major political parties on India's tax architecture. In the current political environment, with the Congress party constantly fire-fighting, it seems very unlikely. Non-tax revenues could rescue Mukherjee's Budget from imploding. Disinvestment and sale of telecom spectrum together are expected to yield Rs 70,000 crore in 2012/13. Asset sales are expected to contribute as much as 0.7 percentage points of decline in the fiscal deficit envisaged for 2012/13. If this Budget unravels, the consequences are not going to be limited to a year or two. April 2012 marks the beginning of the 12th Five Year Plan, which visualizes an aggregate public investment of Rs 2,500,000 crore in infrastructure and an average growth rate of nine per cent. As the Budget overlaps the first year of the plan, Mukherjee has pushed himself to set aside 3.6 per cent of GDP, or Rs 369,488 crore, to build infrastructure. The outlays over the next four years have to increase significantly and the economy has to grow more than nine per cent to offset a slow start in 2012/13, making for another reason why this was a make-or-break Budget. Given the obvious constraints he faced, Mukherjee failed to grasp the nettle. Instead, he proposed some illogical tax breaks. Consider this: commercial coffee vending machines have been given a two year concession on import duty. Indians served subsidized coffee brewed on fancy Italian equipment as the economy around them grinds down has something missing in the picture. The big picture, meanwhile, stays grim. CAD this year is forecast to be 3.6 per cent of GDP, the highest ever recorded by India in 40 years (the duration of data available on RBI's website). A worrisome aspect, Mukherjee admitted in his speech . A CAD of this magnitude makes India dependent on considerable foreign investment to bridge the gap between imports and exports. 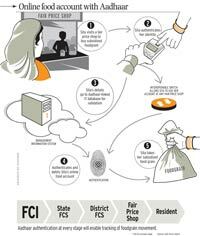 An enhanced perception of risk among foreign investors could easily disrupt the economy. It is against this backdrop that Mukherjee chose to introduce a retrospective amendment on taxing crossborder transactions. This comes on the heels of telecom company Vodafone International winning a four-and-ahalf-year legal battle against the tax authority on an indirect takeover of an Indian telecom company, Hutchison Essar Ltd (now called Vodafone India). 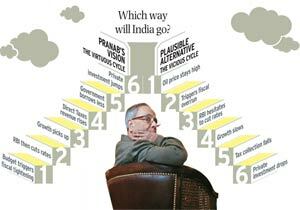 The move has added to the perception that doing business in India has got more difficult. "It is not the problem that you pay tax because that gets factored into whatever deal you make," says Patrick Lord, managing director of the Indian arm of Control Risks, a firm that advises companies on doing business in different countries. "It is the uncertainty the Vodafone case highlighted. That really does send out negative signals." Finance ministry officials say they hope to gather an additional Rs 40,000 crore from the amendments. The negative fallout of the move is a matter of conjecture for now with Vodafone only saying that it is studying the amendments. "With all this noise on policy paralysis, it is just adding to the problems," says Chakraborty of the amendment. For a government bumbling from one crisis to another, that could add to the din in the coming weeks and months. But, for most part, Mukherjee's Budget was about tinkering. Unfortunate for India when the need of the hour was to strike at the heart of the structural problems afflicting public finances.